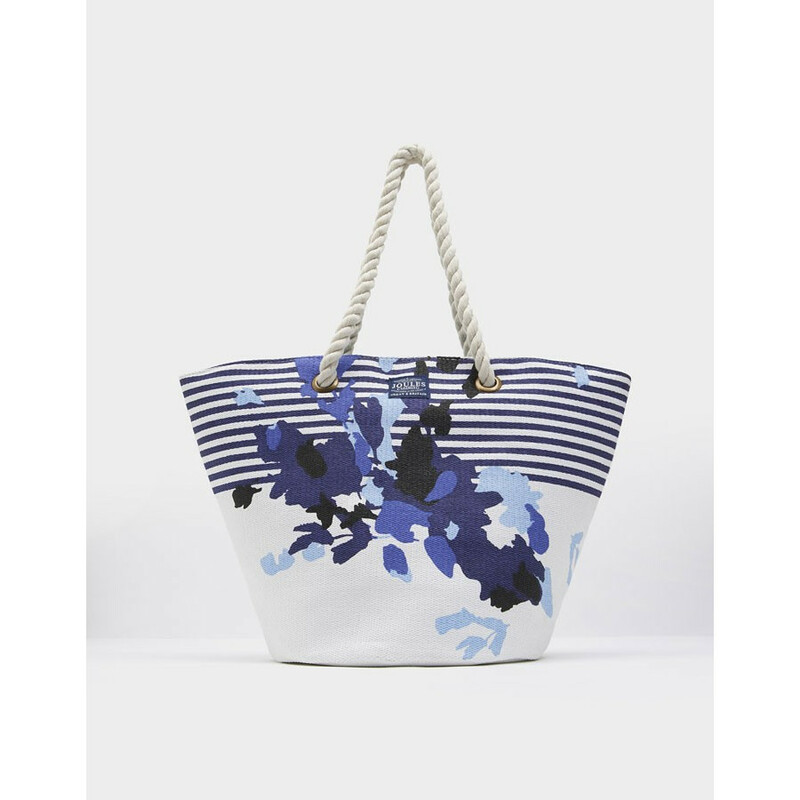 Oversize striped beach bag on white background with flower patterns. This striped beach bag on white background with flower patterns, typical of the brand Joules is ideal for a beach day. Practical, it allows to store everything you need to enjoy a sunny day.